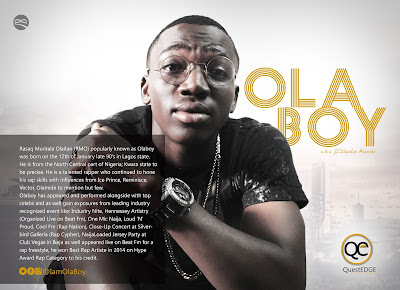 Olaboy; an indigenous fast and coming hip-hop act drops the much-anticipated official debut single "GBESIBE". 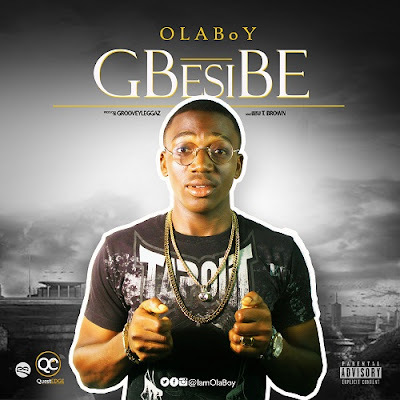 Olaboy left the audience with no choice than to listen to his vocal delivery, word play, lyrical composition, punch lines being put on a display through his expression on this one with a street lingo that is fresh and catching 'Gbesibe'. Gbesibe is Produced by GrooveyLeGgaZ, Mixed and Mastered by T.Brown, while QuestEDGE PR is Olaboy's official Media and PR Management. 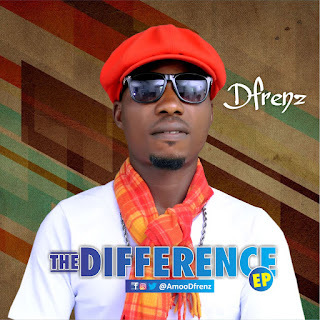 Download & Enjoy the Song Below.